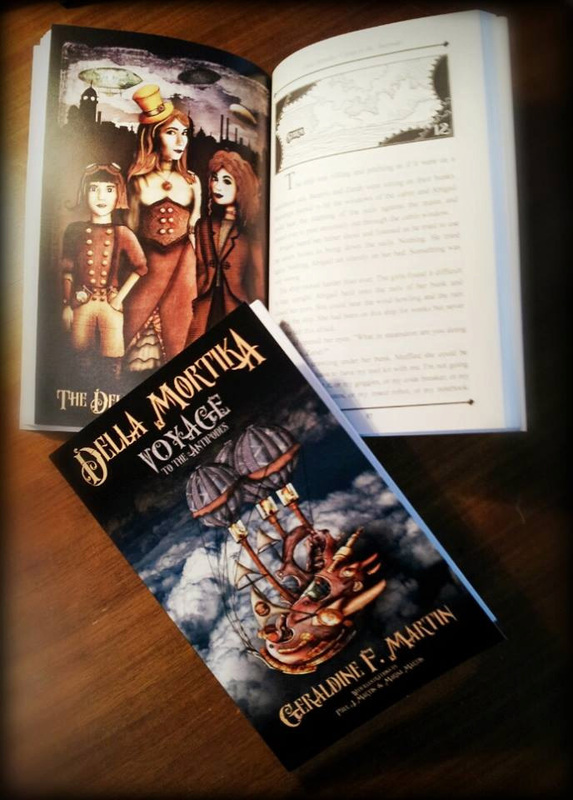 In 1888, The Della Morte family, steampunk inventors, set out on a journey from England to Melbourne. What they expected to be an uneventful trip turns out to be anything but. 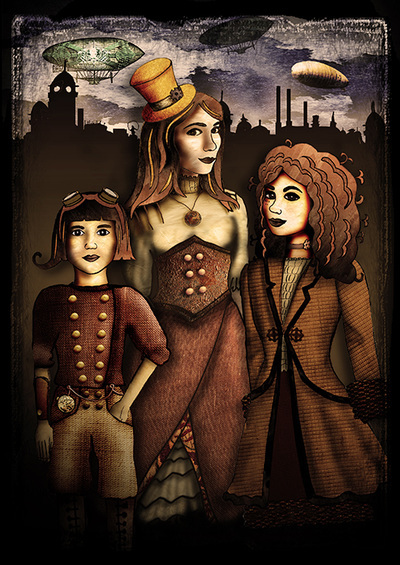 Invention is a state of the art steam-powered flying ship & Sisters Abigail, Beatrix & Zarah are experienced sailors so with their parents they should have made the trip in record time. 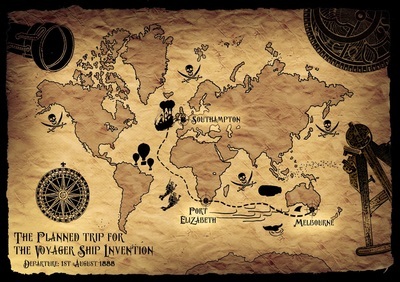 But, who are the pirates who are shadowing them? Who is the mysterious man in the top hat? 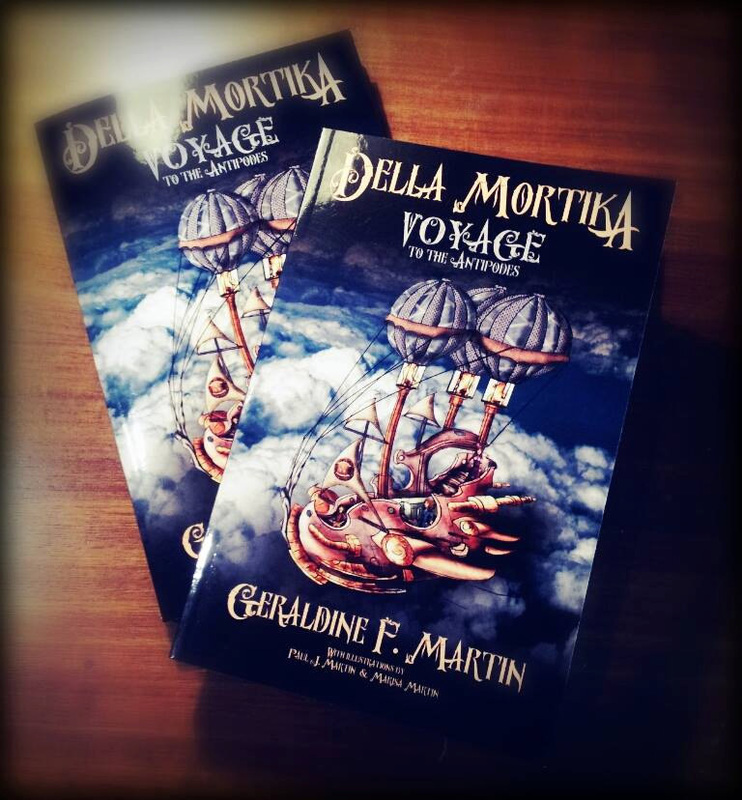 How many Della Mortes will actually reach Melbourne? 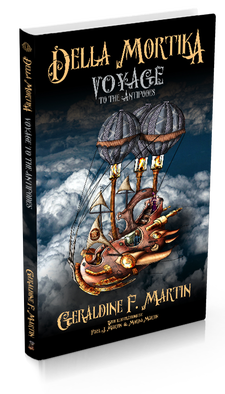 Voyage to the Antipodes is a steampunk adventure for lovers of resourceful, colourful heroes & hideously wicked villains. 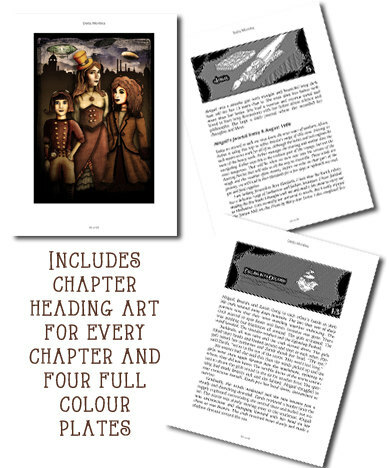 As seen in the first novel, the Dellamortic Alphabet which the girls use to communicate private messages between each other. Learn it and write messages to your friends!